Tag Archive | "Choosing The Right Aquarium Stand"
Aquarium stands come in as many shapes and sizes as there are fish tanks and are constructed from a variety of materials. 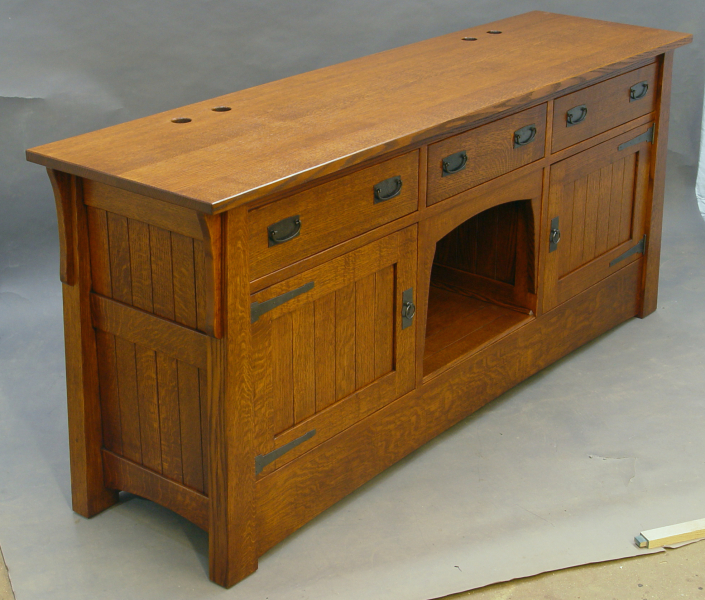 Existing pieces of furniture such as old dressers, desks, tables, etc. are often used as aquarium stands but they must be able to sustain the weight of the filled aquarium. Apart from their aesthetic value, weight is the most important factor you need to consider when selecting or fabricating an aquarium stand. Aside from the empty weight of the actual aquarium, you will also need to consider the weight of the substrate, rocks, driftwood, ornaments and most importantly, the weight of the water in your tank. Freshwater weighs 3.7854 Kilos or 8.3454 pounds per gallon. The weight of the water required to fill a 55 gallon aquarium is approximately 459 pounds. This does not include the weight of the tank and misc. accessories. As you can see, a sturdy aquarium stand is required to sustain the weight of a filled 55 gallon aquarium. A flimsy table would probably not be a great candidate. Fortunately there are a substantial number of companies who manufacture aquarium stands for tropical fish keeping enthusiasts for almost any size of fresh or saltwater aquarium on the market. 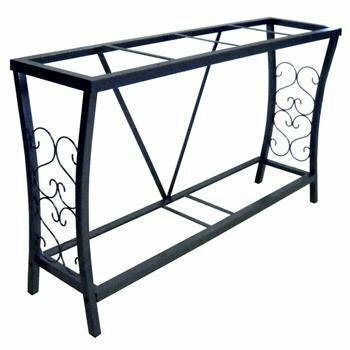 Iron or steel aquarium stands are usually the least expensive, however they do not offer any cabinetry for concealing additional equipment. Aside from the lack of concealed storage space, Iron aquarium stands are often not constructed very sturdily. 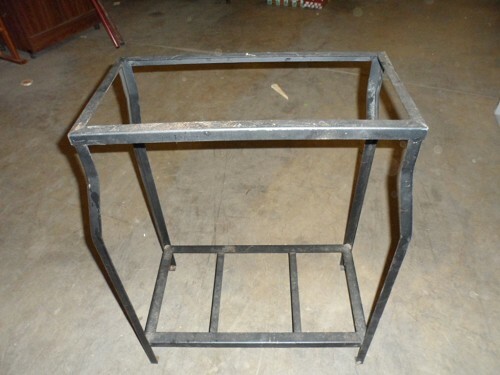 Even though Iron stands are powder coated to resist moisture and painted with durable moisture resistant paint to prevent rust; they will eventually rust, especially when exposed to saltwater. 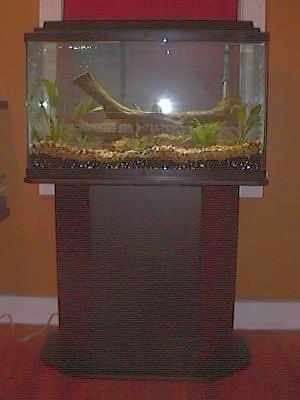 Wood aquarium stands are fabricated from treated plywood and/or hardwood. They are available in a variety of styles and finishes that make it easy to find one that will match any decor in your home or business. 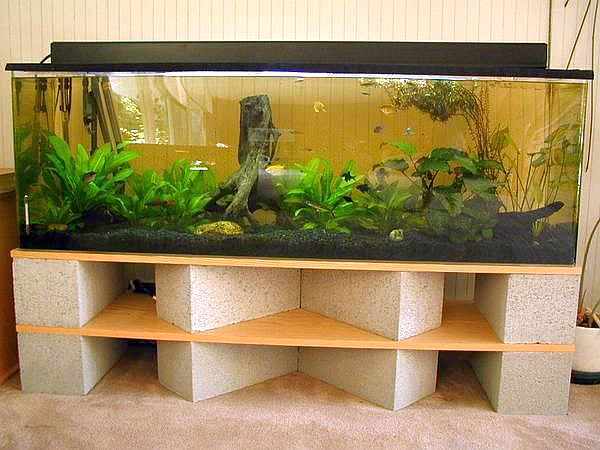 Many wood aquarium stands are of furniture quality construction. Both types of these aquarium stands can add a touch of elegance to your home or office and both types are available in a variety of styles, sizes, and finishes to suit your needs. Coated particle board aquarium stands are occasionally used for smaller aquariums but in general, unless they are of superior quality construction, aquarium stands that are primarily made from particle board should be avoided. When a cheap grade of coating is used on the particle board it can chip or wear away leaving the particle board susceptible to moisture. Un-coated particle board will not hold up in high moisture conditions and when allowed to repeatedly get wet, it will end up disintegrating. 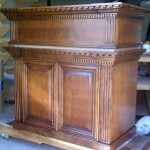 Regardless of what type aquarium stand you decide on, take some time to critically survey the craftsmanship. Stability is also an extremely important factor, especially if you have animals or small children in your home. A fully filled aquarium is top heavy and a poorly constructed aquarium stand that is not perfectly level can be unstable. Place the stand on a level surface and test it for stability before you begin to fill up your tank. An unstable aquarium setup poses a definite risk of injury to anyone in the area if it is inadvertently knocked over. Some do it yourselfers enjoy making their own aquarium stands. Although many different materials can be used, decorative concrete blocks are probably the most common. They are cheap, they come in different patterns, colors, and textures and they are readily available. Concrete blocks can be incorporated into many interior designs and have the added advantage of providing strength and durability. The only drawback is their weight. 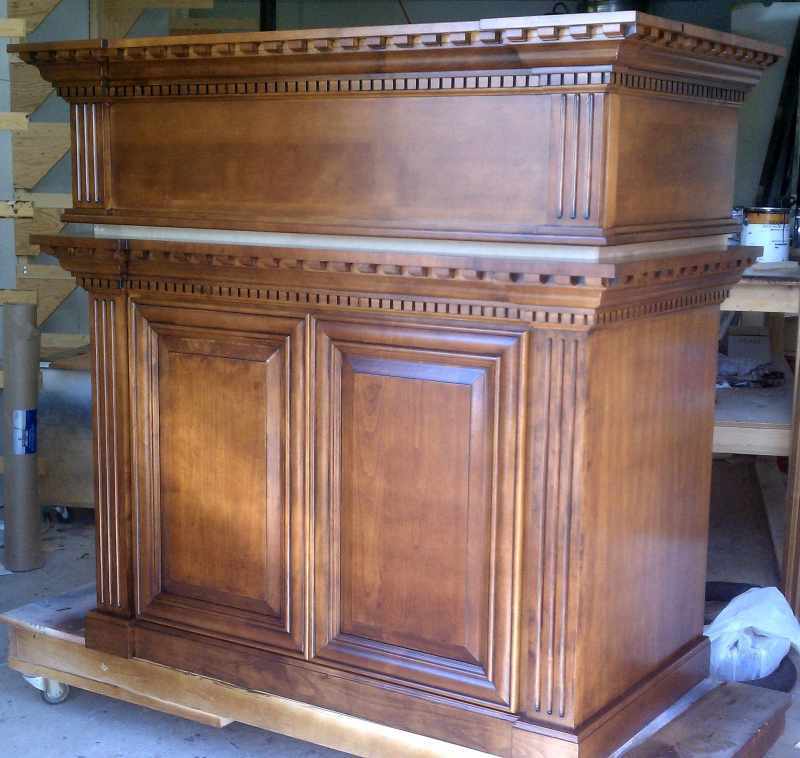 The weight of the filled tank and the weight of the block must always be considered when choosing a suitable location for this type aquarium stand. Many homes have aquariums built into an existing wall of a den, dining room partition, kitchen, or living area by the building contractor when the home is being built. 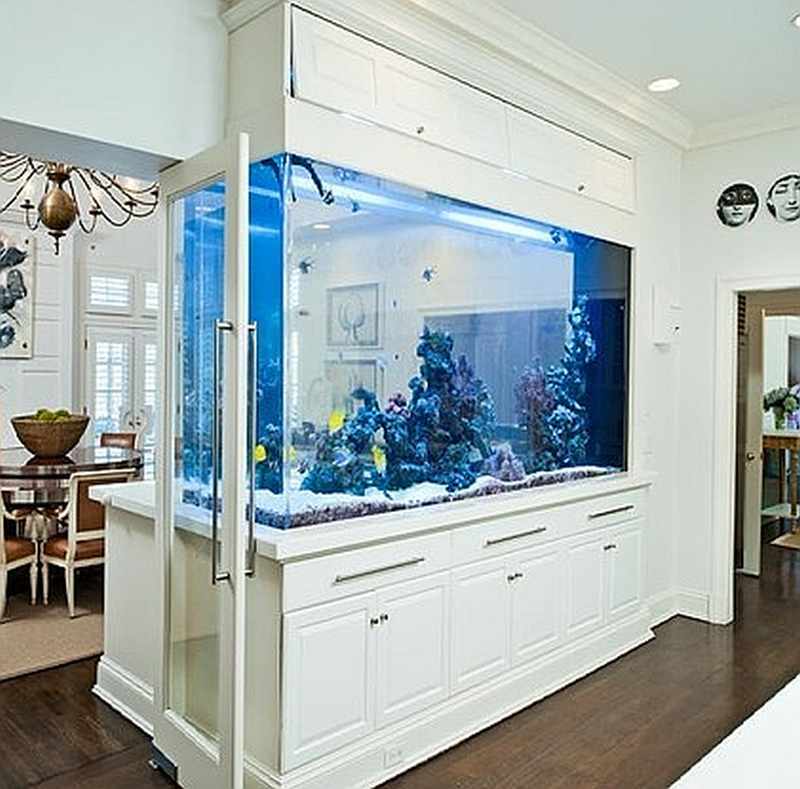 An aquarium built into a wall is unique to each home and can be a spectacular display. Normally a closet is constructed behind the aquarium to house filtration equipment and store accessories. When a wide wall is used as a room divider like in the above picture, filtration and storage is provided under the aquarium in the wall. In essence, the wall becomes the aquarium stand. Unless you are an experienced carpenter, you should probably consult a contractor before undertaking this type of display. Regardless of what type aquarium stand you choose, it is essential that it has good craftsmanship, is structurally sound and has a good warranty if you are purchasing it from a tropical fish keeping shop.